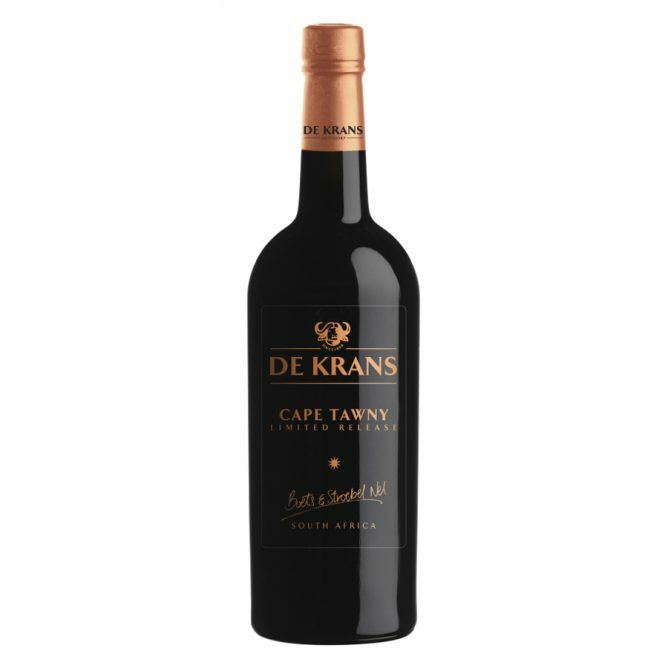 Portuguese varietals where planted in Calitzdorp during the late 1970’s with Tinta Barocca being the first to find its way to the Klein Karoo. Now Calitzdorp is known as South Africa’s Port Capital with these varietals leading the way. 30 year old vines are planted in shallow Karoo sand/clay on Buffelsvlei. Vines are trellised and micro irrigated. Selected bunches are handpicked mid to late February from row selected vines in specific blocks at 26o Balling. Bunches are de-stemmed, crushed and rapidly cooled in a small open fermenter. Grapes are left to spontaneously start fermentation. At the desired sugar-level, the fermentation is stopped by adding alcohol to the juice. The wine is then aged in old small 225 liter barrels. The wine is blended from a range of different vintages between 5 and 15 years. Bouquet: Secondary aromas of orange peel, caramel, nuts and toffee. Taste: Elegant aged flavours of caramel, toffee, roasted nuts and fruitcake. Enjoyed best on its own by the fire place, or with baked winter puddings.